Colorectal cancer can be induced in mice to study factors affecting colorectal tumorigenesis, prevention and treatment. Azoxymethane (AOM) is the most commonly used chemically induced colorectal cancer model used e.g. 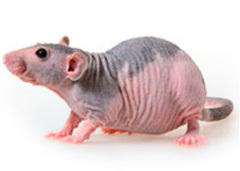 to study the susceptibility of genetically modified mice to colorectal cancer. AOM is metabolized in the liver and the metabolites specifically cause colon tumors. AOM is often used in combination with the dextran sulphate sodium (DSS)- colitis model to induced colitis-associated colorectal cancer and is a faster and more robust model than AOM alone. Chemically induced mammary cancer continue to provide important insights about the genesis, prevention and treatment of breast cancer. Hormone dependent mammary cancer can be induced with oral administration of a carcinogen 7,12-dimethylbentz(a)anthrasene (DMBA) both in rats and mice. DMBA-induced mammary tumorigenesis can be induced also in genetically modified mice allowing to study the role of specific genetic alterations in the mammary carcinogenesis process.